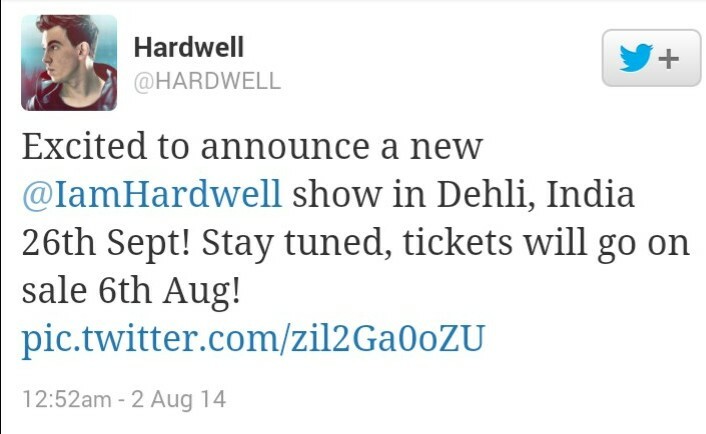 Hardwell sends out a message to his Indian fans! Ahead of I AM HARDWELL India Tour 2014, Hardwell sent out this video to all his fans in India. After bringing some of the biggest names in the Electronic Dance Music Scene to India, Sunburn Arena is all set to host the Dutch progressive and electro-house DJ HARDWELL for the third time in Delhi-NCR on the 26th September, 2014 at the Buddh International Circuit. It wasn’t long back that Hardwell announced his India Tour on Twitter which went saw his fans in India, going crazy following this news!